Being someone who crafts for a living, I am always on the hunt for the best glue. I have a big plastic tub in my craft closet labeled “glues and adhesives”. It’s full. Full of wood glue, epoxy, fabric glue, glitter glue, industrial strength glue, glue sticks, white glue, you name it. Now that I have the opportunity of working with DAP, I really wanted to put DAP RapidFuse All Purpose Adhesive to the test and was very impressed by the results. 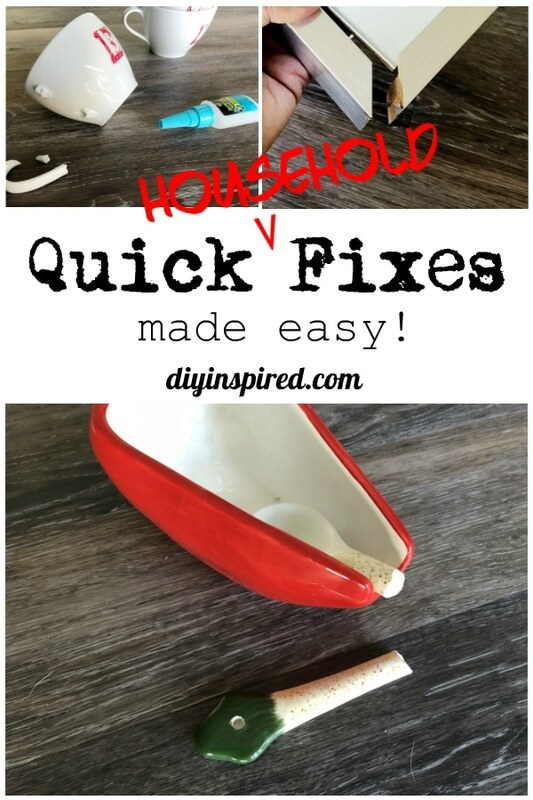 So today, I’m going to share some household uses and fixes using different types of materials and next week I will share some fun trash to treasure projects from a recent thrift store hunt. Want to see this live? Tune into my Facebook Live event on April 24th! Make sure the surface is clean and dry before applying. Do not use too much – just enough to cover the area you intend to bond with a thin coat of adhesive. Let’s start with glass. I used it to fix a broken wing on my mother’s glass angel figurine. It worked perfectly. 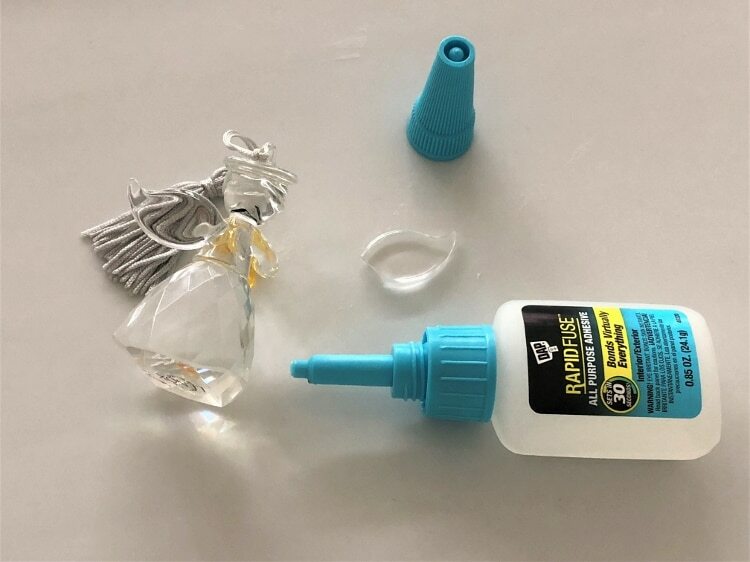 A couple tips to keep in mind a when using RapidFuse on glass because it can bloom so it’s best to 1) avoid clear glass and 2) consider placement to keep it hidden. When applying it, less is more. It’s best to test it on scrap glass ahead so you can see how it works and understand what the blooming looks like. Some blooming can be cleaned up with acetone nail polish remover, but it’s best to avoid it to start. 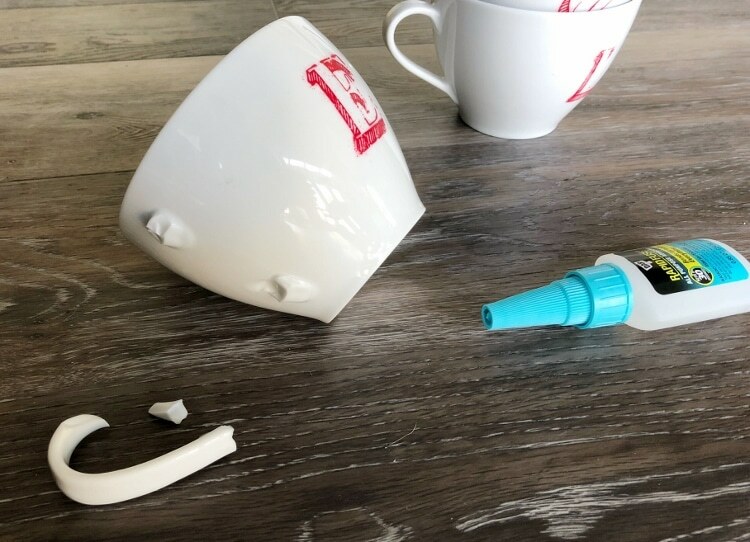 I used DAP RapidFuse All Purpose Adhesive on a few ceramic items including a salsa spoon my 2-year-old broke and a handle of a coffee mug. You can’t even see the seam on the spoon! It worked great on the handle of my mug even though it broke into three pieces. 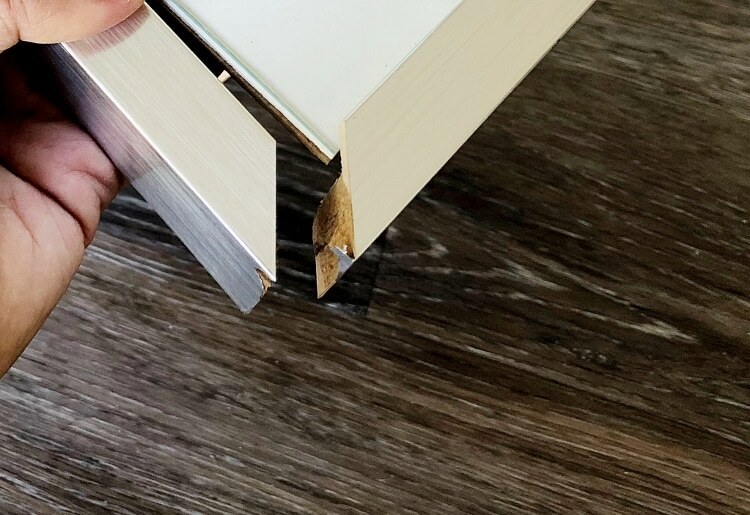 I repaired both a wood and metal picture frame with ease. I also tried it on fabric, which worked well too. Here is a short video of a few quick fixes I tried. So now that I put RapidFuse to the test, maybe I can just fill my plastic tub in my craft closet with DAP! See how I used DAP to make these three easy thrift store upcycles (read more here)!